A couple of years ago, I started writing a blog on hobbies. People said it would be fun and it would give me a lot of writing practice. I searched the internet for places to blog and settled on blogger because it came so highly recommended. Most people explained that it was easy to use, looked pretty good, and that I had a chance to make some money. That all sounded attractive to me. They were quite correct. Setting up the blog, and others, was quite easy. I generally liked the look of it and was quite satisfied with the results. I tried my hand at the money thing in various incarnations but failed to cash in on that. This was the result of a combination of overzealousness by my students and a lack of page views . If you don't attract the people, you probably won't be the next internet sensation. Nonetheless, I soldiered on. What I found was that I liked the writing and I enjoyed the small amount of interaction with readers. It just didn't grow at all, and very few people left any comments. At the time, I figured this was normal, but I wondered why blogging was popular if you didn't get a lot of comments. Then a funny thing happened. I started a blog on WordPress (the free one) because I just wanted to write something different. While it isn't a runaway hit (or featured on Freshly Pressed) it did seem to garner more of a following. I realized that WP did a better job of promoting within itself, and creating a community of bloggers. So that's why I am here. I am hoping for a bigger audience and greater interaction. Only time will tell, but I am quiet optimistic. Please visit my blog at this location. When I started on Blogger, I called this blog Jack of All Hobbies. I thought I was being witty. I figured people would get the allusion to jack of all trades, master of none. Instead, people just thought my name was Jack (which it isn't) and I wasn't smart at all. I probably should have changed the title, but by then it just seemed like too much work. As of now, I am trying to decide if I should be "A Man with Too Many Hobbies" or "Too Many Hobbies--So Little Time." Please let me know what you think. It is weird where hobby inspiration comes from. I get the itch to start a new hobby quite easily. Often it is from talking to people. When someone is passionate about something, then you can't help but be intrigued. Often it is from television. Exposing the masses to something will certainly catch some people's interest. Most recently for me, it was from a book. 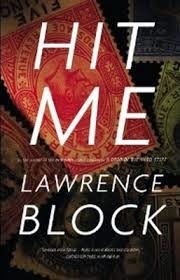 I started reading Lawrence Block's Hit Me on a recommendation from a friend. He had recommended another series by Block, but I couldn't find them in the library so I settled on this one. The basic story was that of a contract killer who loves..... wait for it...not alcohol. Not fast cars. Not loose women......stamps. 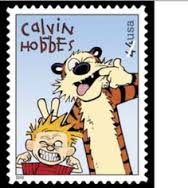 The character (his name is Keller) had such passion for stamps. He also had a lot of knowledge to impart on this impressionable reader. He detailed the equipment and literature, as well as quite a lot of historical information about stamps. I would love to have this one. As for me, yes, there is an itch....but I won't even scratch this one. There is just too much out there. Too many stamps from too many countries. While the tool collector in me loves the idea of all those specialist tweezers, there is just too much involved. On top of that, since I really am more interested in the pictures than the collecting aspect, I would be better off buying a full colour catalogue. I could enjoy the hobby is a much more confined way. 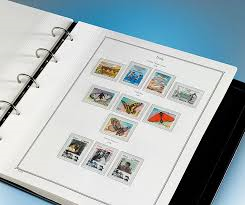 As for the novel....I enjoyed its episodic nature and reading about stamps. It was entertaining and certainly made my commute more enjoyable. 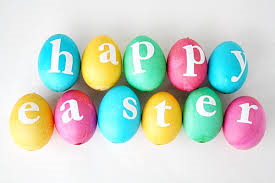 I just wanted to wish everyone a Happy Easter. For those of you doing hobbies, I hope you get a chance to do them today. I would have written a post about Easter eggs...but that is one hobby I have never pursued. Additionally, I have already ranted about Kinder Eggs on my other blog. Kinder Disappointment (Please take a look if you haven't already.) I figured it would be pointless to do it here as well. I am adding myself to bloglovin--so I am adding some text below this sentence. I figured I had better put some words in case something strange appears. Blogs are funny things. Maybe at first it is an exercise in writing. Perhaps it is practice for a future writing career. Maybe it is even therapeutic. Primarily, so we think at first, we write them for ourselves, but then things change. We want to attract readers and comments. We want to interact, or at the very least be recognized for our contribution. I have read countless articles on how to attract readers--increase traffic, if I am to use the jargon of the trade. I have read numerous stories of writers being approached by companies to pitch their products, or at the very least, review them. I have read blogs by people who seemingly make their living off them. I don't mean for this to sound all negative. Instead, I just want to understand my feelings toward it a little better. I want this blog to attract readers, but have started to think that it is difficult. Unlike WordPress (where I write a different blog) there doesn't seem to be a way to get other bloggers interested in this one. The "featured blogs" haven't changed since I started and choosing "next blog" often leads me to blogs written in languages I can't understand. The tales of financial independence seem equally distant. While I appreciate the ability to plug in third person advertising, it hardly seems profitable. No one has approached me with review jobs and very few comments have indicated where to find this. The odd thing is, despite all that I have written, I have no intention of giving up on it. In the end it may not offer financial salvation, nor even any real growth, but I still enjoy putting the words on the screen. I still enjoy expressing myself. I guess blogging has become my hobby. And I bought new gloves too. I think it is well chronicled on these pages that I have a weakness for tools. I've written a number of posts about it, and taken more pictures than I should. I also have to admit that I open the Canadian Tire and Home Hardware flyers first--well before the food. Whenever I visit those stores, I always walk around the tool sections, hefting the wrenches and drills when opportunity allows. So it should come as no surprise that bike ownership can also include some tools. When I purchased the bike, I asked what tools I would need--this is probably the kind of words a salesman dreams of hearing. 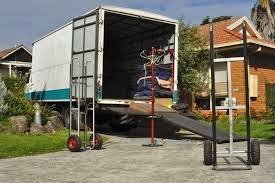 However, they said I would need a pump, a multi tool and some tire levers. The assured me the bike comes with a several tune-ups and there was much less maintenance than a mountain bike. Being at the bike show, I couldn't resist picking up this tool. Will I need it? Doubtless, there are ways to measure chain wear without this tool--but .....tools are cool. I like tools. As you can see, it was a moment of weakness. Fortunately for me, it isn't a big ticket item, and it didn't break the bank. It was cheaper than I have seen it at bike shops and even online shops. It isn't like I bought the entire Park Tool Master Kit. There is something about going to a bicycle show that really gets my heart pumping. I go to walk through row up on row of bikes and stuff. There were mountain bikes, road bikes, hybrid bikes and cross bikes. There were tools, tires, clothes and helmets. The best way to describe it would be to call it a toy store for adults. The only thing that bothered me was the entry price. I find it rather unfair that one has to pay to go shopping. It is like having a daily admission price to Costco. The price was 15 dollars, and I would rather have spent that money on something else. However, I know there are a lot of costs in putting a show like that on (security, rentals etc) but they could have at least given us a break on the food. I would have to say that cycling is rather popular. There were so many people who were interested in cycling. And most of them were also very friendly. I didn't go to the show to shop, but rather to find out about cycling vacations. I am really interested in going on a cycling trip somewhere. I collected quite a few route maps and found quite a few cycling destinations. Now I just have to get in shape because some of the routes seem rather ambitious. As for swag--I was hoping for more. I came home with lots of trail and route maps, some back issues of magazines and even a tool catalogue. However, I was expecting more. I hoped for some socks, or a t-shirt, maybe a free water bottle... something. I guess it isn't a car show. Over the last week or so, there has been a lot of talk about the imminent rebuilding of the Toronto Maple Leafs. Additionally, there has been a lot of talk of "tank nation" in which the Leafs would throw the remaining games to better improve their odds of getting a draft pick. 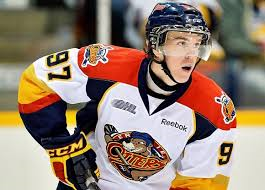 Yes, I'd love to see him in a Leaf uniform. While I certainly welcome a complete and sincere rebuild, I am not so sure about the idea of playing to lose. As we have already seen, losing becomes a habit. If we start lowering our compete level, can we get it back? There are some other problems with this idea. The "superstars" that we are going to be trading away will want to look good for their future team. They want to be sought after by strong teams, not weak teams. Playing to lose won't improve their value on the trade market. That's a lose-lose proposition. The team seems to have lost without trying to lose, so maybe we should just let nature take its course. Once we have jettisoned our free agent talent, or older players, or overpaid players, or whomever we let go, I suspect that the team won't be in any position to compete anyway. Losing will happen, whether we want it to or not. What kind of mood will be left in the dressing room by a team that gave up? These players have been competing for their whole lives. Can we expect them to unlearn that behaviour? In the end, we will just have to see how things turn out. I welcome your opinions. What do you do if your life is bursting with hobbies. What do you do if you really can't concentrate on one thing for any real length of time. What do you do if you can't afford therapy for this sort of thing. I guess you write a blog about it.